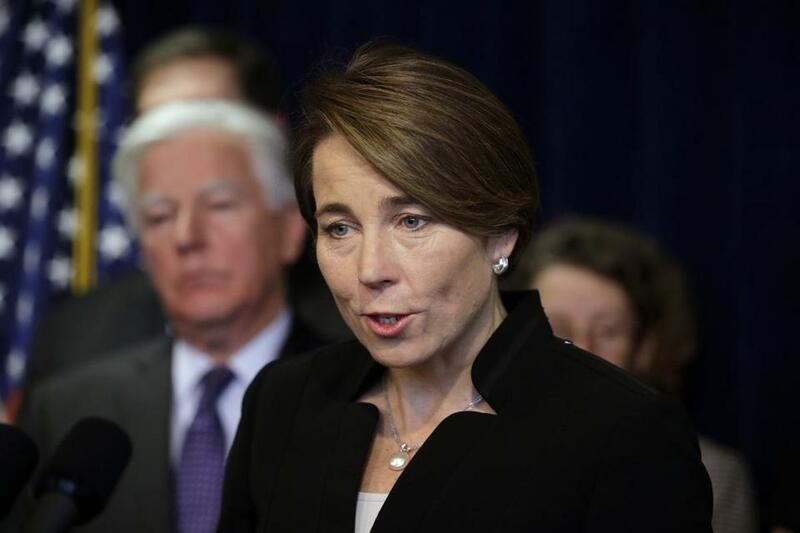 Massachusetts Attorney General Maura Healey has not been shy about taking on Exxon Mobil — or Texas congressman Lamar Smith. Decades ago, we had the so-called Austin-Boston connection, a symbiotic relationship between Texas and Massachusetts political figures such as Lloyd Bentsen and Mike Dukakis, Lyndon Johnson and John F. Kennedy, and Sam Rayburn and John McCormack. These days, we have the Boston-Austin Disaffection, featuring liberal climate-crusading Attorney General Maura Healey of Boston, determined investigator of Exxon Mobil, and science-doubting US Representative Lamar Smith of San Antonio, conservative avenging-angel ally of the fossil fuel industry. Healey, a shrewd, camera-ready activist AG, is using her consumer-protection authority to open a new front in the informational battle against global warming — and perhaps even to leverage tobacco-settlement-type payments from the oil industry giant. Smith, a voracious gobbler of fossil-fuel campaign cash and a the-science-isn’t-certain climate-change skeptic, is employing his position as chairman of the House Committee on Science, Space, and Technology to run interference for Texas-headquartered Exxon Mobil. Our story began when Healey and New York AG Eric Schneiderman commenced investigations into whether Exxon Mobil had sown confusion about the causes of climate change long after its own scientific experts had concluded that carbon emission from fossil fuels played a major role. Exxon Mobil now acknowledges the climate-science consensus and at least nominally supports a carbon tax. But credible reports have arisen that despite its internal conclusions, the energy leviathan spent decades trying to muddy the public debate, partly through misleading statements, partly by funding climate-science-denying conservative groups. Saying things one knows or suspects aren’t true isn’t a crime. Which is where the notion of consumer protection comes in. Healey might have legal traction for action against the corporate goliath if she could establish that, by suppressing information about the CO2-climate-change connection, the company effectively deceived investors who bought its stock. Or failed to apprise consumers about the real impact of its petroleum products. Enter, stage right, congressman Smith. When Healey started subpoenaing documents from Exxon Mobil that could shed light on a corporate cover-up, Smith began subpoenaing information from her and Schneiderman, demanding internal communications and other documents that might shed light on the motivation for their investigation, which he contends violates Exxon Mobil’s First Amendment rights and could chill scientific research. Meanwhile, Exxon Mobil has sued to block Healey in federal court in Texas and in state court here, making discovery demands similar to Smith’s. But Healey is on a roll. In December, she stared down the Texas judge overseeing Exxon Mobil’s suit, who had ordered her to saddle up and gallop to Texas to be deposed. When he refused to reconsider, she asked the relevant appeals court to stay his hand. His bluff called, the judge folded his cards and canceled the order. Meanwhile, a Massachusetts superior court judge recently ruled that Exxon Mobil must provide the documents Healey wants. And now she and Schneiderman have told Smith that they won’t comply with his latest flurry of subpoenas, saying he has no authority over her office or its work. As for Smith, whose office didn’t reply to a request for an interview? The next move is his. Does he back down or escalate, perhaps by trying to have Healey declared in contempt of Congress — but at the very real risk of looking like he’s all hat and no cattle? No sign yet, but here’s my bet: Lone Star Lamar has met his match in the Maura the Kid.